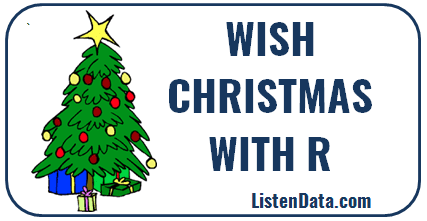 This post is dedicated to all the R Lovers…Flaunt your knowledge of R programming in your peer group with the following code. Turn on computer speakers before running the code. All the buzz these days seems to be around Predictive Analytics. Many think off predictive modeling a magic from data. Since reports about downturn in IT sector, many IT professionals aspire to be predictive modelers. They enroll for some courses and learn concepts by rote. When you learn model accuracy / performance metrics by rote, you’ll never understand the physical significance of it. They focus only on thumb rules/ cutoff so that they can mug up for interview preparation. Let me give you an example when so called “model performance rules” fails. Around 4,000 people have been killed by drone strikes in Pakistan since 2004. According to leaked documents on The Intercept, these drone strikes happened based on results from the machine learning algorithm. The disastrous result is that the thousands of innocent people in Pakistan may have been mislabelled as terrorists by the algorithm. Imagine a world where people have been killed because of some bloody “machine learning algorithm”. This article reveals ‘Till what extent Predictive Modeling can be used’. Predictive Modeling is a process which is used to build a model with the help of historical data to predict future behavior. In the process of predictive modeling, we use statistical and machine learning techniques. In this post, we will see how predictive modeling / data mining techniques can be used to identify terrorists. Terrorists attacks are happening in every part of the world. Every day government announces a new terror alert. It has become priority of every government to eradicate terrorism from their country. Some countries have developed analytics-driven software to predict or forecast terrorists attacks. 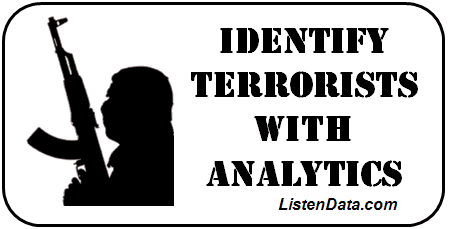 The software identifies patterns from the historical data and predicts terrorist activities. The Australian Security Agency designed a terror attack system that let their citizens a clearer idea of whether they should be alert or alarmed. It classifies threats into five levels – Not Expected, Possible, Probable, Expected and Certain. US National Security Agency use a machine learning algorithm to assess each person’s likelihood of being a terrorist. They used Pakistan’s mobile network metadata of 55 million people to develop a model to identify terrorists. Number of Events : Data from just seven known terrorists. Random Forest was used as a machine learning algorithm. No much detail is specified in the NSA presentation file. Not sure whether they used stacking/blending ensemble learning algorithm. 1. 50% False Negative Rate. It refers to “50% actual terrorists but model incorrectly predicted them as “Non-Terrorists”. 2. 0.18% False Positive Rate. It refers to “0.18% innocents, but model incorrectly predicted as terrorists. In marketing or credit risk models, 0.18% false positive rate is considered as an excellent score. But it is dangerous in the context of human lives. Even 0.01% false positive rate of 55 million population implies 5,500 innocent people potentially being misclassified as “terrorists” and killed. The highest rated target according to this machine learning was Ahmad Zaidan, Al-Jazeera’s long-time bureau chief in Islamabad. Event Rate : The main issue of the model is that they used a very few events (7 terrorists) to train the model. Machine learning algorithms require more events than classical statistical techniques. Implementation : It is very dangerous to implement the model and kill someone after blindly following results from the model. Profiling people who are educated but involved in terrorists activities. This tutorial helps you to get started with Python. It’s a step by step practical guide to learn Python by examples. Python is an open source language and it is widely used as a high-level programming language for general-purpose programming. It has gained high popularity in data science world. As data science domain is rising these days, IBM recently predicted demand for data science professionals would rise by more than 25% by 2020. In the PyPL Popularity of Programming language index, Python scored second rank with a 14 percent share. In advanced analytics and predictive analytics market, it is ranked among top 3 programming languages for advanced analytics. Google yields thousands of articles on this topic. Some bloggers opposed and some in favor of 2.7. If you filter your search criteria and look for only recent articles (late 2016 onwards), you would see majority of bloggers are in favor of Python 3.6. See the following reasons to support Python 3.6. 1. The official end date for the Python 2.7 is year 2020. Afterward there would be no support from community. It does not make any sense to learn 2.7 if you learn it today. 2. Python 3.6 supports 95% of top 360 python packages and almost 100% of top packages for data science. It is cleaner and faster. It is a language for the future. It fixed major issues with versions of Python 2 series. Python 3 was first released in year 2008. It has been 9 years releasing robust versions of Python 3 series. Python is widely used and very popular for a variety of software engineering tasks such as website development, cloud-architecture, back-end etc. It is equally popular in data science world. In advanced analytics world, there has been several debates on R vs. Python. There are some areas such as number of libraries for statistical analysis, where R wins over Python but Python is catching up very fast. With popularity of big data and data science, Python has become first programming language of data scientists. Python runs well in automating various steps of a predictive model. Python has awesome robust libraries for machine learning, natural language processing, deep learning, big data and artificial Intelligence. Python wins over R when it comes to deploying machine learning models in production. It can be easily integrated with big data frameworks such as Spark and Hadoop. Python has a great online community support. Do you know these sites are developed in Python? Download Anaconda. It comes with Python software along with preinstalled popular libraries. Download Python from its official website. You have to manually install libraries. Spyder. 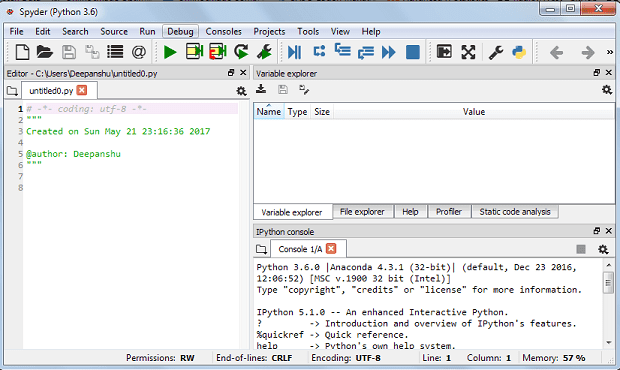 It is like RStudio for Python. It gives an environment wherein writing python code is user-friendly. If you are a SAS User, you can think of it as SAS Enterprise Guide / SAS Studio. It comes with a syntax editor where you can write programs. It has a console to check each and every line of code. Under the ‘Variable explorer’, you can access your created data files and function. I highly recommend Spyder! Jupyter is equivalent to markdown in R. It is useful when you need to present your work to others or when you need to create step by step project report as it can combine code, output, words, and graphics. The following is a list of some useful spyder shortcut keys which makes you more productive. Ctrl+Enter executes the current cell. It is used to assign a value to the declared variable. For e.g. x += 25 means x = x +25. In this case, x+=y implies x=x+y which is x = 100 + 10. In every programming language, it is important to understand the data structures. Following are some data structures used in Python. It is a sequence of multiple values. It allows us to store different types of data such as integer, float, string etc. See the examples of list below. First one is an integer list containing only integer. Second one is string list containing only string values. Third one is mixed list containing integer, string and float values. We can extract list item using Indexes. Index starts from 0 and end with (number of elements-1). x picks first element from list. Negative sign tells Python to search list item from right to left. x[-1] selects the last element from list. A tuple cannot be changed once created whereas list can be modified. Like print(), you can create your own custom function. It is also called user-defined functions. It helps you in automating the repetitive task and calling reusable code in easier way. The keyword return ends a function and give value of previous expression. Suppose you want python to assume 0 as default value if no value is specified for parameter b.
pandas. For data manipulation and data wrangling. A collections of functions to understand and explore data. It is counterpart of dplyr and reshape2 packages in R.
NumPy. For numerical computing. It’s a package for efficient array computations. It allows us to do some operations on an entire column or table in one line. It is roughly approximate to Rcpp package in R which eliminates the limitation of slow speed in R.
Scipy. For mathematical and scientific functions such as integration, interpolation, signal processing, linear algebra, statistics, etc. It is built on Numpy. Scikit-learn. A collection of machine learning algorithms. It is built on Numpy and Scipy. It can perform all the techniques that can be done in R using glm, knn, randomForest, rpart, e1071 packages. 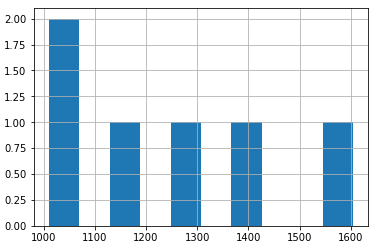 Matplotlib. For data visualization. It’s a leading package for graphics in Python. It is equivalent to ggplot2 package in R.
Statsmodels. For statistical and predictive modeling. It includes various functions to explore data and generate descriptive and predictive analytics. It allows users to run descriptive statistics, methods to impute missing values, statistical tests and take table output to HTML format. pandasql. It allows SQL users to write SQL queries in Python. It is very helpful for people who loves writing SQL queries to manipulate data. It is equivalent to sqldf package in R.
Maximum of the above packages are already preinstalled in Spyder. The commands below would help you to install and update new and existing packages. Let’s say, you want to install / uninstall pandas package. There are multiple ways to import a package in Python. It is important to understand the difference between these styles. It imports the package pandas under the alias pd. A function DataFrame in package pandas is then submitted with pd.DataFrame. It imports the whole package and the function DataFrame is executed simply by typing DataFrame. It sometimes creates confusion when same function name exists in more than one package. Series is a one-dimensional array. You can access individual elements of a series using position. It’s similar to vector in R.
In the example below, we are generating 5 random values. It is equivalent to data.frame in R. It is a 2-dimensional data structure that can store data of different data types such as characters, integers, floating point values, factors. Those who are well-conversant with MS Excel, they can think of data frame as Excel Spreadsheet. The following table shows how Python and pandas package stores data. The table below shows comparison of pandas functions with R functions for various data wrangling and manipulation tasks. It would help you to memorise pandas functions. It’s a very handy information for programmers who are new to Python. It includes solutions for most of the frequently used data exploration tasks. You can import required packages using import statement. In the syntax below, we are asking Python to import numpy and pandas package. The ‘as’ is used to alias package name. We can build dataframe using DataFrame() function of pandas package. In this dataframe, we have three variables – productcode, sales, cost. You can use read_csv() function from pandas package to get data into python from CSV file. Make sure you use double backslash when specifying path of CSV file. Alternatively, you can use forward slash to mention file path inside read_csv() function. You can run the command below to find out number of rows and columns. Result : (6, 3). It means 6 rows and 3 columns. The df.head(N) function can be used to check out first some N rows. To select variable by column position, you can use df.iloc function. In the example below, we are selecting second column. Column Index starts from 0. Hence, 1 refers to second column. We can keep multiple variables by specifying desired variables inside [ ]. Also, we can make use of df.loc() function. To summarize or explore data, you can submit the command below. To summarise all the character variables, you can use the following script. Similarly, you can use df.describe(include=[‘float64’]) to view summary of all the numeric variables with decimals. 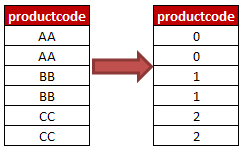 Suppose you are asked to apply condition – productcode is equal to “AA” and sales greater than or equal to 1250. In the second query, we do not need to specify DataFrame along with variable name. In the code below, we are arrange data in ascending order by sales. Like SQL GROUP BY, you want to summarize continuous variable by classification variable. 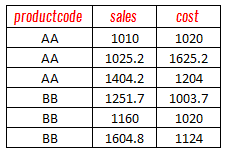 In this case, we are calculating average sale and cost by product code. Instead of summarising for multiple variable, you can run it for a single variable i.e. sales. Submit the following script. Let’s create a classification variable – id which contains only 3 unique values – 1/2/3. Let’s define as a categorical variable. We can use astype() function to make id as a categorical variable. Summarize this classification variable to check descriptive statistics. You can calculate frequency distribution of a categorical variable. It is one of the method to explore a categorical variable. Histogram is one of the method to check distribution of a continuous variable. In the figure shown below, there are two values for variable ‘sales’ in range 1000-1100. In the remaining intervals, there is only a single value. In this case, there are only 5 values. If you have a large dataset, you can plot histogram to identify outliers in a continuous variable. 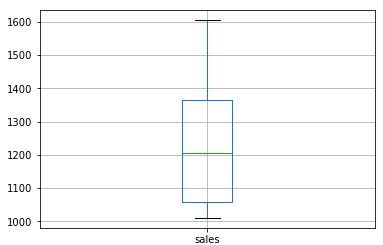 Boxplot is a method to visualize continuous or numeric variable. It shows minimum, Q1, Q2, Q3, IQR, maximum value in a single graph. In this section, we cover how to perform data mining and machine learning algorithms with Python. sklearn is the most frequently used library for running data mining and machine learning algorithms. We will also cover statsmodels library for regression techniques. statsmodels library generates formattable output which can be used further in project report and presentation. With the use of python library, we can easily get data from web into python. The binary variable admit is a target variable. How many rows and columns in the data file? What are the distribution of variables? In the code below, we rename the variable rank to ‘position‘ as rank is already a function in python. Summarize and plot all the columns. It is important to check the frequency distribution of categorical variable. It helps to answer the question whether data is skewed. By looking at cross tabulation report, we can check whether we have enough number of events against each unique values of categorical variable. We can write a simple loop to figure out the number of blank values in all variables in a dataset. In this case, there are no missing values in the dataset. Logistic Regression is a special type of regression where target variable is categorical in nature and independent variables be discrete or continuous. In this post, we will demonstrate only binary logistic regression which takes only binary values in target variable. Unlike linear regression, logistic regression model returns probability of target variable.It assumes binomial distribution of dependent variable. In other words, it belongs to binomial family. In python, we can write R-style model formula y ~ x1 + x2 + x3 using patsy and statsmodels libraries. In the formula, we need to define variable ‘position’ as a categorical variable by mentioning it inside capital C(). You can also define reference category using reference= option. 80% of data goes to training dataset which is used for building model and 20% goes to test dataset which would be used for validating the model. By default, the regression without formula style does not include intercept. To include it, we already have added intercept in X_train which would be used as a predictor. Odd ratio is exponential value of parameter estimates. In this step, we take estimates of logit model which was built on training data and then later apply it into test data. Decision trees can have a target variable continuous or categorical. When it is continuous, it is called regression tree. And when it is categorical, it is called classification tree. It selects a variable at each step that best splits the set of values. There are several algorithms to find best split. Some of them are Gini, Entropy, C4.5, Chi-Square. There are several advantages of decision tree. It is simple to use and easy to understand. It requires a very few data preparation steps. It can handle mixed data – both categorical and continuous variables. In terms of speed, it is a very fast algorithm. Feature engineering plays an important role in building predictive models. In the above case, we have not performed variable selection. We can also select best parameters by using grid search fine tuning technique. Decision Tree has limitation of overfitting which implies it does not generalize pattern. It is very sensitive to a small change in training data. To overcome this problem, random forest comes into picture. It grows a large number of trees on randomised data. It selects random number of variables to grow each tree. It is more robust algorithm than decision tree. It is one of the most popular machine learning algorithm. It is commonly used in data science competitions. It is always ranked in top 5 algorithms. It has become a part of every data science toolkit. The sklearn library makes hyper-parameters tuning very easy. It is a strategy to select the best parameters for an algorithm. In scikit-learn they are passed as arguments to the constructor of the estimator classes. For example, max_features in randomforest. alpha for lasso. 1. The machine learning package sklearn requires all categorical variables in numeric form. Hence, we need to convert all character/categorical variables to be numeric. This can be accomplished using the following script. In sklearn, there is already a function for this step. Suppose you want to convert categorical variables into dummy variables. It is different to the previous example as it creates dummy variables instead of convert it in numeric form. To avoid multi-collinearity, you can set one of the category as reference category and leave it while creating dummy variables. In the script below, we are leaving first category. Imputing missing values is an important step of predictive modeling. In many algorithms, if missing values are not filled, it removes complete row. If data contains a lot of missing values, it can lead to huge data loss. There are multiple ways to impute missing values. Some of the common techniques – to replace missing value with mean/median/zero. It makes sense to replace missing value with 0 when 0 signifies meaningful. For example, whether customer holds a credit card product. Apply log transformation of variables. See below the implementation of log transformation in Python. In some algorithms, it is required to standardize variables before running the actual algorithm. Standardization refers to the process of making mean of variable zero and unit variance (standard deviation). Practice, practice and practice. Download free public data sets from Kaggle / UCLA websites and try to play around with data and generate insights from it with pandas package and build statistical models using sklearn package. I hope you would find this tutorial helpful. I tried to cover all the important topics which beginner must know about Python. Once completion of this tutorial, you can flaunt you know how to program it in Python and you can implement machine learning algorithms using sklearn package. This article explains how to select important variables using boruta package in R. Variable Selection is an important step in a predictive modeling project. It is also called ‘Feature Selection’. Every private and public agency has started tracking data and collecting information of various attributes. It results to access to too many predictors for a predictive model. But not every variable is important for prediction of a particular task. Hence it is essential to identify important variables and remove redundant variables. Before building a predictive model, it is generally not know the exact list of important variable which returns accurate and robust model. Why Variable Selection is important? Removing a redundant variable helps to improve accuracy. Similarly, inclusion of a relevant variable has a positive effect on model accuracy. Too many variables leads to slow computation which in turns requires more memory and hardware. There are a lot of packages for feature selection in R. The question arises ” What makes boruta package so special”. See the following reasons to use boruta package for feature selection. It works well for both classification and regression problem. It takes into account multi-variable relationships. It is an improvement on random forest variable importance measure which is a very popular method for variable selection. It follows an all-relevant variable selection method in which it considers all features which are relevant to the outcome variable. Whereas, most of the other variable selection algorithms follow a minimal optimal method where they rely on a small subset of features which yields a minimal error on a chosen classifier. Perform shuffling of predictors’ values and join them with the original predictors and then build random forest on the merged dataset. Then make comparison of original variables with the randomised variables to measure variable importance. Only variables having higher importance than that of the randomised variables are considered important. Create duplicate copies of all independent variables. When the number of independent variables in the original data is less than 5, create at least 5 copies using existing variables. Shuffle the values of added duplicate copies to remove their correlations with the target variable. It is called shadow features or permuted copies. Run a random forest classifier on the combined dataset and performs a variable importance measure (the default is Mean Decrease Accuracy) to evaluate the importance of each variable where higher means more important. Then Z score is computed. It means mean of accuracy loss divided by standard deviation of accuracy loss. Tag the variables as ‘unimportant’ when they have importance significantly lower than MZSA. Then we permanently remove them from the process. Tag the variables as ‘important’ when they have importance significantly higher than MZSA. Repeat the above steps for predefined number of iterations (random forest runs), or until all attributes are either tagged ‘unimportant’ or ‘important’, whichever comes first. When i first learnt this algorithm, this question ‘RF importance measure vs. Boruta’ made me puzzled for hours. After reading a lot about it, I figured out the exact difference between these two variable selection algorithms. In random forest, the Z score is computed by dividing the average accuracy loss by its standard deviation. It is used as the importance measure for all the variables. But we cannot use Z Score which is calculated in random forest, as a measure for finding variable importance as this Z score is not directly related to the statistical significance of the variable importance. To workaround this problem, boruta package runs random forest on both original and random attributes and compute the importance of all variables. Since the whole process is dependent on permuted copies, we repeat random permutation procedure to get statistically robust results. Is Boruta a solution for all? Answer is NO. You need to test other algorithms. It is not possible to judge the best algorithm without knowing data and assumptions. Since it is an improvement on random forest variable importance measure, it should work well on most of the times. Check out the original article – Feature selection with Boruta in R to see implementation of Boruta Algorithm with R and its comparison with other feature selection algorithms.